You will need to have your student Groups created in your course before you can create a group assignment. The students do not need to be enrolled in these groups before you build the assignments, you only need to have the Groups created. When students enroll into their Groups, make sure each student is enrolled in only one group, or they will be able to submit more than one attempt for this assignment. Students who are not yet enrolled in a group will NOT BE ABLE TO SEE the group assignment at all. This means if you make the “how-to-sign-up-for-a-group” instructions part of a group assignment, your students will not be able to see the instructions in the body of the assignment… because they are not yet in a group! Please write the instructions on how-to-sign-up for a group in a separate item, and tell the students they will be able to see the group assignment link area after they are enrolled in a group. If you delete a group from the assignment after they have begun the work and prior to submission, the group will lose access to the assignment and lose their work. Before you begin, make sure that Edit Mode in the upper right of the window is set to ON. Navigate to the lesson folder where you want the group assignment to appear. From the action bar at the top of the window, hover over Assessments to access the drop-down list and Select Assignment. This will open a Create Assignment window. Type a Name for your assignment. It is a good idea to include the words “Group Assignment” in this title. In the Grading section, type the Points Possible, and link a rubric if you have one. 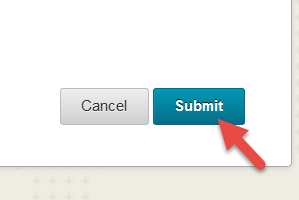 Select Submission Details to expand the section items. For the Assignment type, select Group Submission. From here you can also Select the option for Number of Attempts, and you can also check the box beside Plagiarism Tools to check the assignment through SafeAssign. In the Items to Select box, select the group or groups, then click the right pointing arrow to move the selection into the “Selected Items” box. Click the check box to Make the Assignment Available under the Availability section. You can also select the Display After and Display Until check boxes to enable the date and time selections. Use the pop-up Date Selection Calendar and Time Selection Menu to select or type dates and times or type dates. When you are finished with the settings, click Submit.